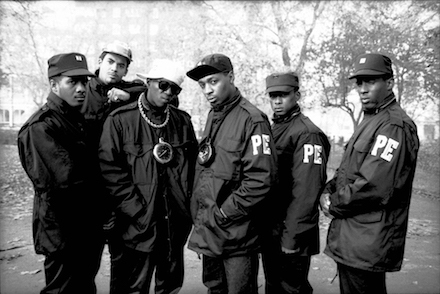 Public Enemy consists of Chuck D, Flavor Flav, Professor Griff, Khari Wynn, DJ Lord, and the S1W group. In 1986, Arizona Governor Bruce Babbitt, a Democrat, created a paid state Martin Luther King Jr. holiday right before the conclusion of his tenure. The following year, his Republican successor, Evan Mecham, struck down the holiday, angering civil rights activists across the country. The people of Arizona would later vote, in a 1990 referendum, on whether or not MLK Day should be an official state holiday. They voted against it. Public Enemy released this song in 1991. It featured Sister Souljah and it condemned Mecham for his decision to invalidate the holiday. One year later, another referendum was held, and the state finally approved MLK Day as an official holiday.